Baby Lev is a mama-owned business that appreciates the simple things in life. Curling up with a good book and some herbal tea; witnessing the wonder and excitement of a toddler when the light bulb goes off; and beautifully designed products that make life that much sweeter. They launched their line of organic cotton swaddle blankets with a simple focus – to empower mamas with safe products that are beautiful, versatile and timeless. 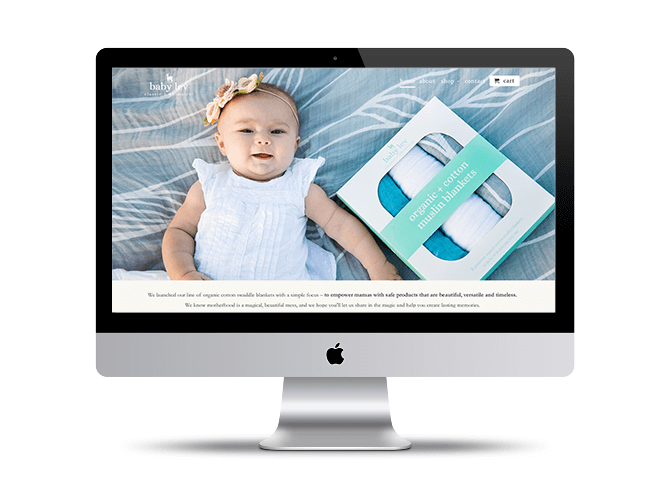 We loved creating the brand identity and messaging for this sweet baby products company, with a focus on classic and whimsical colors and visuals. They knew they wanted a timeless design that was neither girly nor boyish, but a perfect combination of both. Their focus is simple, to provide parents with safe baby products that are versatile and easy to use. 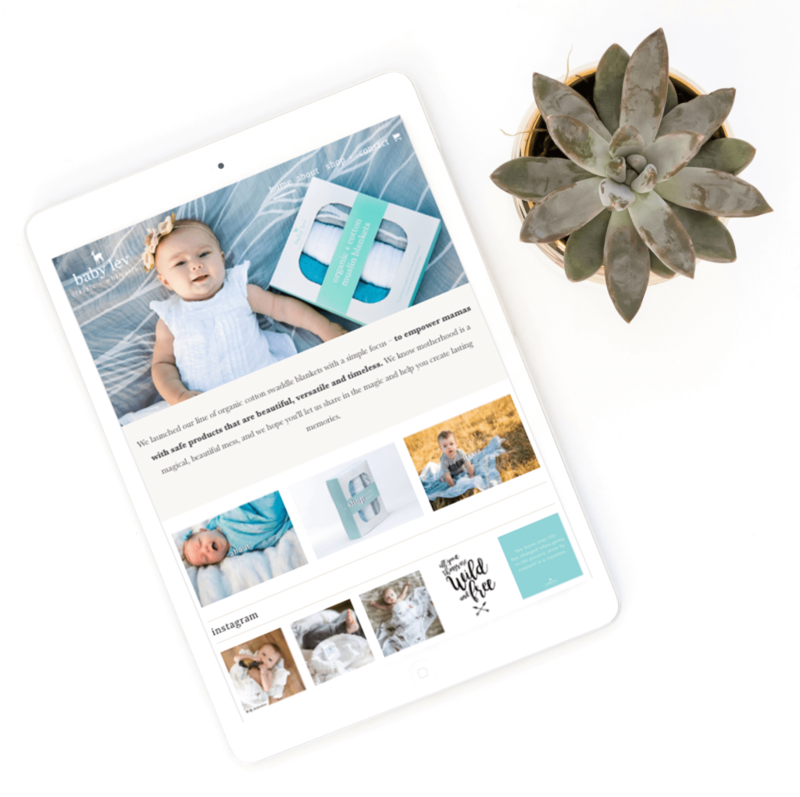 They also write about motherhood and baby/toddler-related topics on their blog, so we helped craft copy that resonates with their audience, messaging that is all about building community around the beautiful mess of motherhood. Additionally, we customized their site using Shopify, which is fully responsive, beautifully showcases their products and gives them the flexibility to grow their business. Shopify is our favorite e-commerce platform because it is all-inclusive, is super user-friendly and makes taking payments a breeze. Baby Lev has some amazing lifestyle images of their products, so we really wanted to let those take center stage. Take a look around their site here.